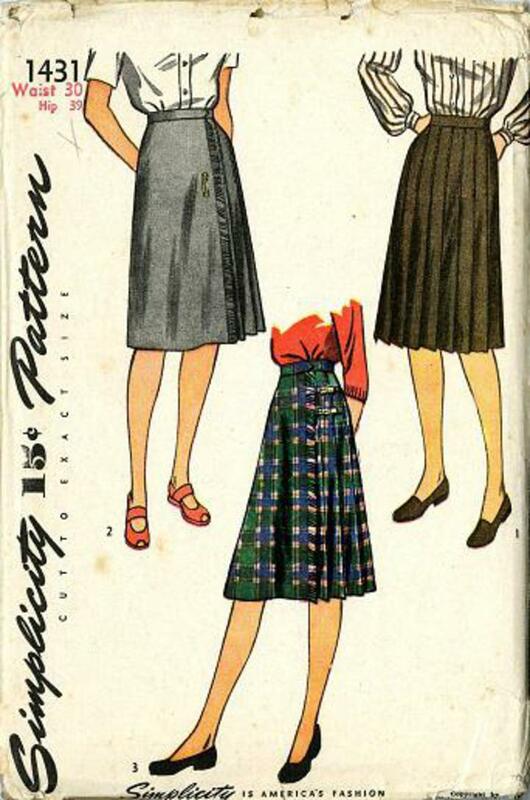 1940's Simplicity #1431 vintage sewing pattern, misses' skirt, size waist 30. Style 1 is pleated all around and joins to a waist band. Style 2 and 3 are wrap-around skirts with pleats at one side and a fringed edge. A large safety pin fastens the front edges in style 2 and straps are used in style 3. Unprinted tissue pattern, factory folded.